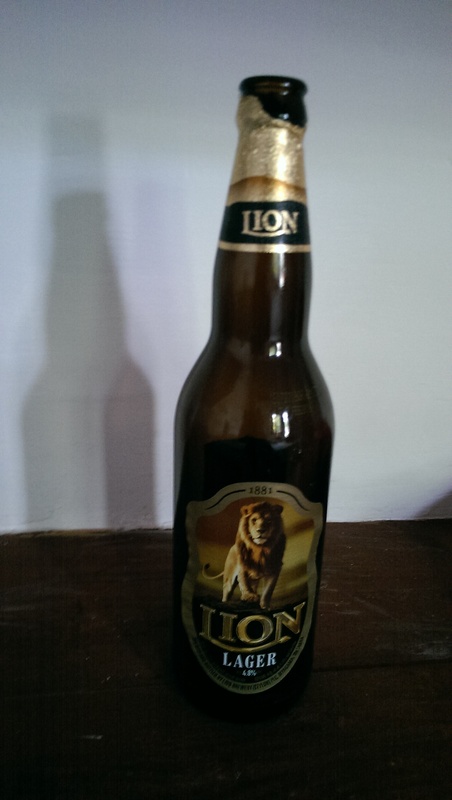 Sri Lankan Lion Lager comes in handy, 625ml bottles. One beer, two glasses works out quite well when travelling with Rosalie. Lion comes in two strengths. Strong at 8% is too much for us in this climate but was the preferred tipple of the bereaved local who befriended us in a bar in Ella. His father had died that day. He, the son (Christian, Moral Rearmament supporter), was philosophical about the sudden death of his 85yo, atheist father but was seeking to drown his sorrows. We were invited to the funeral but had to move on. This entry was posted on 20 September 2015 at 10:53 am and is filed under Sri Lanka. You can follow any responses to this entry through the RSS 2.0 feed. You can leave a response, or trackback from your own site.